It thus seems as though the Pope wanted to draw a line between those who tried to stay faithful to the doctrine and those who wanted to adapt it. The speech has many “Jesuitical” influences, as, for example, the topic of inculturation of faith and the way the Gospels are interpreted. In the end, the role of Jesuits in the Synod was important: Fr. Antonio Spadaro, editor of “La Civiltà Cattolica” and one of the Pope’s most important consultants, prepared the way for the Synod debate with a series of articles in “La Civiltà Cattolica” that promoted the agenda of mercy; the Jesuit-run magazine “America” published an interview that hammered those who criticized certain procedures of the Synod, and provided its takes about the Synod’s method and its outcomes; Fr. Adolfo Nicolàs Pachon, member of the drafting committee of the Synod’s Final Report and Superior General of the Jesuits, also made an impact through media interviews. The Final Report was topped off by the closing papal address, and it will probably arouse controversies. The Final Report asks for a papal document to outline magisterial teaching on the family. It can be a post-synodal exhortation, an exhortation: the Final Report is not explicit on the nature of the document. But Synod Fathers would like to see the witness of Peter, because Peter continually presented himself as a guarantor during the Synod. It is yet to be seen how the papal document will adhere to the agenda of mercy. The Working Document lacked theological grounds. The 2014 Synod mid-term report had the same problem. So this 2015 Final Report included many quotations from the Scriptures; it fully quotes the definition of the family in “Gaudium et Spes”, as was recommended; it also includes a long paragraph on divine pedagogy, and it deals with liturgy. However, the first part of the document is mostly sociology. It is a snapshot of familial difficulties, with the request of a commitment to the family by politicians and by those engaged in society, and with an implied praise of the work of the Church. Conversion comes at the end of the second part. There, the consensus decreases. The duty of accompanying wounded family includes information on the procedures for a declaration of nullity. This section received a less than unanimous vote of approval from bishops. Paragraph 54, concerning pastoral attention for “new unions”, received even less consensus: bishops wants definitions and situations better outlined. Communication is one of the main concerns of this pontificate. It was so during this Synod. Many acknowledged that this particular Synod was finally transparent, and that the Synod Fathers could finally grant interviews freely. But this was not true. Even in the past Synods, Synod Fathers were always able to grant interviews without asking permission. Moreover, before Cardinal Baldisseri took over the post of General Secretary of the Synod, there was not only one comprehensive briefing, there were six contemporaneous briefings in six different languages. During the briefings the Synod discussion was informally reported, and thus journalists had an idea of the various ways the discussion went. Before, there were many more words about the Synod, and less opportunities to manipulate. Like it or not, the new course of Synod information paved the way for a series of rumors and gossip delivered together with the official Holy See Press Office information. The Media Synod was biased because reports had to be based on what Synod Fathers recounted, rather than on what was effectively said in the Synod Hall. This generated a public opinion favorable to a series of doctrinal changes that in fact no Synod can decide. It cannot do so simply because the Synod of Bishops is a consultative, not a deliberative, body. The release of the mid-term report made bishops understand what the issues at stake were. African bishops, whose Church is young, on account of which they still have Church teaching clear in mind, made common cause. And so did the bishops from Eastern Europe, concerned about the betrayal of St. John Paul II’s teaching. These are still the Church’s peripheries on which to set one’s gaze. In fact, the strongest defense of the teaching of the Church came from those peripheries. They do not deny any love or pastoral attention for people in irregular or difficult situations. But they always propose the Church’s teaching strongly and rigorously. They are certain that people must be given a great ideal to aim at. They do not believe faith must be diluted to meet people’s weakness and fragilities. Some of the interventions in the Synod Hall help us to understand how the discussion went. Archbishop Stanislaw Gadecki, President of the Polish Bishops’ Conference, made the decision to publish on the Conference website his notes on the speeches of the Synod Fathers. This decision lifted the smokescreen on the Synod’s communication. This is exactly the point, as it was reflected in the Synod’s Working Document: sociology replaced theology, a snapshot of current times came before the announcement of the evangelical ideal. Perhaps those who drafted the Working Document tried to be faithful to Pope Francis’ rationale that reality is more than the idea – as is spelled out in the Apostolic Exhortation “Evangelii Gaudium”. Decentralization was another issue at stake. Pope Francis gave it much emphasis in his speech for the commemoration of the 50th anniversary of the Synod of Bishops, and immediately some of the bishops felt that this issue could be exploited. Step by step, the rationale behind more autonomy for bishops’ conferences gained traction. This notion was also included in “Evangelii Gaudium”, Pope Francis’ Apostolic Exhortation that he considers as providing the guidelines for his pontificate. “Evangelii Gaudium” also proposed that bishops’ conferences could be entrusted with some of the tasks of the Congregation for Doctrine of the Faith, and this led to the suspect he could dismantle the former Sant’Uffizio. In fact, Pope Francis often speaks of a less self-referential Church, but yet a hierarchical Church. However, the discussion on this point at the Synod became important. As everyone in the end agreed that “this is a pastoral Synod,” many Synod Fathers stressed that “decentralization is already in action, and that it was fostered with the “motu proprio” that changes the procedures for declarations of nullity. But a healthy decentralization concerns pastoral issues, not doctrinal issues. The Church is one and doctrine is one. It is not possible that a couple may receive sacramental Communion in one country, while in another country their behavior is considered a sin.” The spokesperson for these concerns was Cardinal George Pell, Prefect of the Secretariat for the Economy. He has been one of the more active bishops within the Synod Hall. Cardinal Marx’s arguments at the Holy See Press Office on October 22 showed that there was a sort of “step backward” in the agenda for mercy. But in fact the agenda was advanced. The speeches held at the May 25 periodic meeting between French, German and Swiss Bishops’ Conferences – the so called ‘Shadow Synod’ – showed the will to go forward in the path of mercy, emphasizing individual stories and leaving aside the notion of a unified doctrine. The same approach was adopted in three closed door meetings organized by the Pontifical Council for the Family, whose outcomes are contained in a recent book. Nevertheless, Cardinal Marx’s stance helped those bishops who wanted to adapt doctrine to the signs of times to take a breather and find a way to gain at least some good result. Speaking in sports terms, as they were losing, they were trying to end the game with an even score. So, the first draft of the final document was affected by this strong dialectic within the Synod. The reports on the third part of the Synod’s Working Document were clear: almost every group asked for a substantial rewriting of the document; some of the groups even went beyond and asked to take out the paragraphs on pastoral care for homosexuals (the most controversial and discussed issue arising from the 2014 Synod). One group even asked to convene a Synod on sexuality. All of the groups agreed in condemning gender ideology. While many accepted the proposals for a penitential path for the civilly divorced and remarried, even this proposal was outlined mostly as a path to conversion. The text presented was certainly better than the Working Document, which most of the Synod Fathers regarded as poorly outlined. The text was also streamlined: 49 pages, or about one hundred paragraphs. The 10 prelates’ commission for drafting the document appointed by the Pope – only two of them took part in the Synod because they were elected by their bishops’ conferences – wanted to draft a document “with all the questions, but without all the responses,” explained Cardinal Oswald Gracias from Mumbai (India). Their hope was that the Pope’s final speech would be vague enough to promote the agenda for mercy while keeping to the doctrine of the Church. This choice made everyone upset. But because of this choice, everyone could maintain his position. A great majority of bishops, however, has asked for the Pope’s intervention. This intervention is expected to be outlined in a more thorough document after the Synod, hopefully a post-synodal exhortation that is not yet planned. This request shows a certain nostalgia for the old procedures on the part of the Synod Fathers. In the past, the commission appointed by the Pope was not in fact charged with the tasks of drafting a Final Report, but to issue a series of “propositiones” (proposals) on which the assembly would eventually vote. The goal was that of reaching a communion that would lead to a papal document widely shared by everyone. But this new synod methodology creates a majority and a minority bloc and thus breaks episcopal communion. The pragmatic schism that Cardinal Walter Kasper speaks about has been created by methodology. Certainly, it was not the fault of allegedly non-merciful bishops and priests, or of a Church that allegedly judged once and now judges no more. These are mostly rhetorical frames that construct around Pope Francis a narrative that does not help his reforming impetus. Pope Francis’ real enemies seem rather to be those who claim to be the spokespersons of his agenda. This dynamic has been active since Pope Francis’ election. After the election, a theological school that was already sidelined and out of action tried to gain renewed influence in the life of the Church. This theological school is fostered by the so-called “Team Bergoglio,” that is, the group of cardinals that backed Cardinal Jorge Mario Bergoglio’s election. It was Austen Ivereigh, the Pope’s biographer, who first spoke about this team. The team was composed of Cardinals Godfried Daneels, Walter Kasper, Cormac Murphy O’Connor and Karl Lehmann. They met in St. Gallen in Switzerland, as Cardinal Daneels has recently admitted. It was not a “mafia,” but rather a periodic meeting of a group of cardinals with the same ideas, that started during the 90s. Membership in this group slightly changed in the course of the years. The meeting was organized by the bishop, Ivo Fuerer, now emeritus of St. Gallen. The last meeting reportedly took place in 2013, shortly after Pope Francis’ election. During these meetings, the so-called progressive cardinals, fascinated by a secular mentality they thought the Church should fit in with, outlined their view of the Church. They identified some ideal candidates for the papacy. They also generated the narrative that has now been constructed around Pope Francis. But his hidden supporters are advanced in age. Without Benedict XVI’s resignation, they would have no weight in current theological debates. So, their push to change doctrine would have come to a halt, because to change doctrine you need a council. But the preparation of the council is long, and anyway the outcomes are not certain. They had no time. So they delved into the notion of synod, whose preparation is shorter. 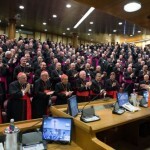 If the synod’s discussions could be extended in order to influence public opinion, a certain interest could be created. So, they supported the idea of a synod. The Pope did not like synods when he was an archbishop, as is acknowledged by his former auxiliary bishop, Horacio Garcia. But the members of “Team Bergoglio” were sure that the Pope would accept the idea of a synod as a collegial and useful way of governing. This method, in the end, was even similar to that used in the government of the Society of Jesus. The “Synod operation” failed in some ways. The great majority of bishops showed they understood St. John Paul II’s and Benedict XVI’s teachings. Their Synod path, a very long one, had set in place solid foundations for this Synod on the Family. It is noteworthy that St. John Paul asked for a sytnod on penance and reconciliation right after the 1980 Synod on the Family, while in 1990 he wanted a Synod on priestly formation. His choice was prophetic. The issue of priestly education was one of the most developed topics discussed during the 2015 Synod, together with the issue of the education of the lay faithful. Many bishops don’t want to change the doctrine of the Church. They understand the real issue is to form priests who are able to teach the Church’s teaching, who are capable of reading the signs of times without diluting doctrine. In the end, they identify a need for priests who are able to nurture a new generation of Catholics. The issue of conscience – one that was pivotal during the last part of the Synod – is strictly bound to the formation of consciences. Another issue at stake is education to love. All the bishops advocated it. Cardinal Napier, in one of his free interventions, proposed permanent formation for fiancées and spouses. The biggest outcome of the Synod is a push toward a greater commitment to catechesis. This is the real surprise of the Synod. Education is a sort of “red line” in all of the small circles reports. The reports issue more than 1300 modi (amendments) in the attempt to fix the text of the Working Document. Sociologically grounded, the Working Document was developed in three chapters that mirrored the scheme “see, judge, act.” But in the end – bishops noted – the first chapter on “see” also included parts of judge and act, and the third chapter was too vague. Bishops asked to the commission to abbreviate topics and to develop a smoother text. This was the general wish of the bishops for the text. In the end, the Synod of Bishops leaves the Church in a confused state. For the faithful, nothing changes. Local churches will determine whether to issue documents to explain precisely how the faithful should interpret the Synod’s final report, in an attempt to re-establish doctrine with clarity. The general hope is that the Pope will issue a magisterial document in order to close the discussion. Pope Francis will have to make the final decision. He can choose to leave the discussion open, thus leaving the Church in a state of “permanent synod”. He can choose to give a precise direction to the Church. The decision is not simple. Pope Francis spoke the word many times during the assembly, and always reiterated that he is “Peter,” as a sort of guarantor. But this will not help to calm the dispute. The Synod produced another certainty: that the Pope’s enemies are probably behind his friends. The 13 Cardinals’ Letter that expressed the signatories’ worries about the Synod’s procedures was in fact a private letter sent to the Pope. The fact that it was leaked showed that the people who surround the Pope were looking for an external front for their war. As they could not win in the Synod, they tried to win public opinion, describing any criticism as a personal attack on the Pope. 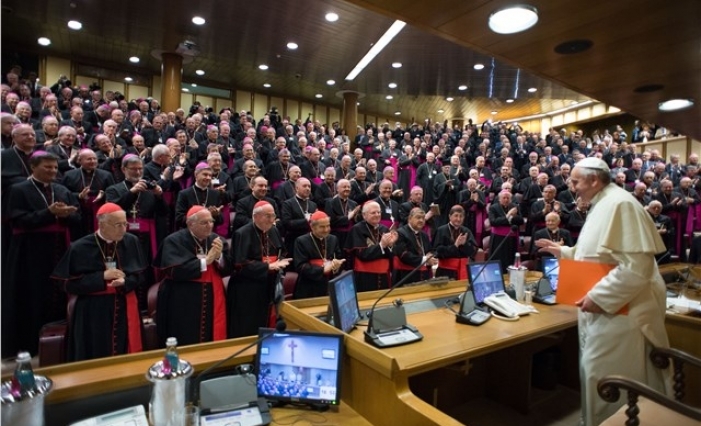 In fact, a large majority of bishops at the Synod shared the worries of the 13 cardinals. Now many questions remain open: Are the supporters of the agenda for mercy really the Pope’s friends? Did this Synod really open a new season for the Church? Only time will tell. In the meantime, Pope Francis has taken hold of even more of the Vatican, as the establishment of a commission concerning the newly announced family dicastery proves: for the first time under Pope Francis, the establishment of a new Vatican structure will be preceded by the drafting of its statutes. This is real news. The Secretariat for the Economy and the Council for the Economy waited a long time for their statutes, and still they are not included in the Pastor Bonus, the apostolic constitution that regulates functions and offices of the Roman Curia. The same happened to the Pontifical Commission for the Protection of Minors and to the Secretariat for Communications — though it is a crucial body in the new Curia that aims to better communicate the Gospel to the world. Will Pope Francis now understand that the Vatican and the Church must be governed though clear directions from the top, and not just by reorganization? thanks for your comment. For what I see, the Pope is mostly and old fashioned, even conservative man in terms of doctrine. There is always something that does not match between what he says and the people he is surrounded with. So I highlight the contradiction. When he speaks about openness and smell of the sheep and everything else, I always find him vague, certainly not on the adpaters side. On the other hand, the Pope showed appreciation for Caffarra during the last Synod, he did not demote Card. Bagnasco as Italian Bishops Conference president, he has a good relation with Cardinal Mueller, even though the Cardinal knows how to criticize him (but Cardinal Mueller has also a deep knowledge of Latin America). So, in the end, I have that sort of feeling that behind any populism, behind any moment the Pope expresses in a vague way thus grabbing the progressives attention and secular media headlines, the Pope have a sort of debt with the adapters who in fact campaigned for him. Because otherwise his thought or his way of doing is not what we can call a straight line, and it is often inexplicable. However, it can also be that the Pope does not follow a rationale. But I think that only time will tell. Thank you very much for your reply. I think I see what you are saying. Something about the divided nature of the Pope’s doings is somewhat disturbing. In a simplified way, I suppose we can say that when he makes appointments, he tends to go in one direction (let’s call this ‘left’); when he delivers homilies with no real consequence in Santa Marta, he sometimes goes in a different direction (‘right’); and when he speaks in public to a non-religious audience, he goes in any direction possible. I have a suspicion that one day we will be told interesting things about this Pope by psychiatrists. Until then, however, the balance of power is on the side of the ‘adapters,’ for appointments last longer than homilies in Santa Marta . . . .Thanks again for taking the time to answer. If he were that much conservative, we would see it in his own practice or « pastorale ». If those two things are not linked, then we have a very grave Church problem. How can he then say that if someone mocks his mother, he would surely get his fist in the face ? What Jesus would have done if His own Mother would have been mocked ? He would have said to Mary : « Mom, let’s go home et pray for those who persecute you ». There would have been no fist in the picture. If the Pope is so conservative, then he surely knows what Jesus asked us to do in such situations. The Pope surely knows well the Scriptures but it is he who mocks them. And there is so many other examples where he mocks the Scriptures and he is so far away of being conservative. Remember his homely in Bolivia where he assessed that the Miracle of Bread was not that much a miracle. He is a Diva and do mind of himself only. Could it not be simply explained as an apparent application of a principle in the art of war or the art of politics: “Keep Your Friends Close, But Your Enemies Closer.”? Have Cardinal Marx and most of his fellow German bishops shown they want to be close to those who want Latin liturgy? I think what many are missing is that to Pope Francis, God, Jesus, the Father, the Holy Spirit, is a living God. He is not just contained in dogma and the disciplines of the Church and tradition. He is a creative God always in a process of self disclosure. We need to accept that Popr Francis does have the keys to the kingdom of heaven and the Holy Spirit is disclosing himself to him and where he wishes him to guide our church. I think Pope Francis is quite capable of responsibly combining pastoral care, consistency of tradition and theology. The issue is that people become threatened and fearful when their way, based upon incomplete knowledge and understanding, is threatened. This is not the teaching of the Church. There have been plenty of popes that were obviously not guided by the Holy Ghost. John XII comes readily to mind. I think what many are missing is that to Pope Francis, God, Jesus, the Father, the Holy Spirit, is a living God. He is not just contained in dogma and the disciplines of the Church and tradition. He is a creative God always in a process of self disclosure. We need to accept that Pope Francis does have the keys to the kingdom of heaven and the Holy Spirit is disclosing himself to him and where he wishes him to guide our church. I think Pope Francis is quite capable of responsibly combining pastoral care, consistency of tradition and theology. The issue is that people become threatened and fearful when their way, based upon incomplete knowledge and understanding, is threatened. Does Pope Benedict still ‘have the keys to the kingdom of heaven’? Is the Holy Spirit still ‘disclosing himself to him and where he wishes him to guide our church’, or did it stop when he resigned, like magic? I think you display a rather superstitious view of the pope, one that is often used by protestants to deride Catholics who say ‘You worship the pope’. It is called Ultramontanism, and is idolatrous. The pope can’t change the teaching of Christ and if he tries to, he’s wrong and schismatic. Pope Benedict tried to deconstruct the modern and cultic papacy by returning to tradition, by removing himself from the role. This one is doing exactly the opposite. Assumptions are unwise. Possibly in discussions where comments are made meaning of terms are overlooked. A starting point is what is the meaning of the ‘Keys of the Kingdom of Heaven’. What are the levels of its meaning. That said, it is very divisive to our Church to pit one Pope and another past Pope against one another. Further I do not perceive Pope Francis as ‘dismantling’ or ‘deconstructing’ the teachings of Christ and the Church but I am saying Our Popes have access to Catholic theology and a ruling body of the Church to help them with discernment in the way the Spirit of God is leading. Further, ‘self disclosure’ as a concept is very much a theological concept used in orthodox Catholic theology and understanding.